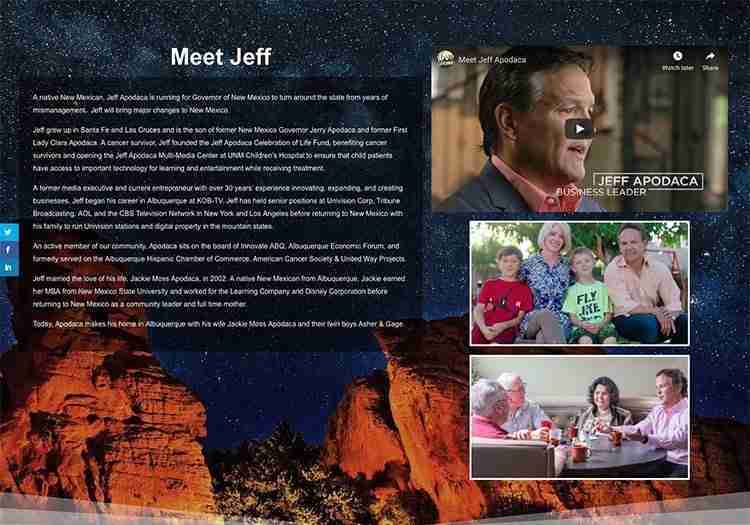 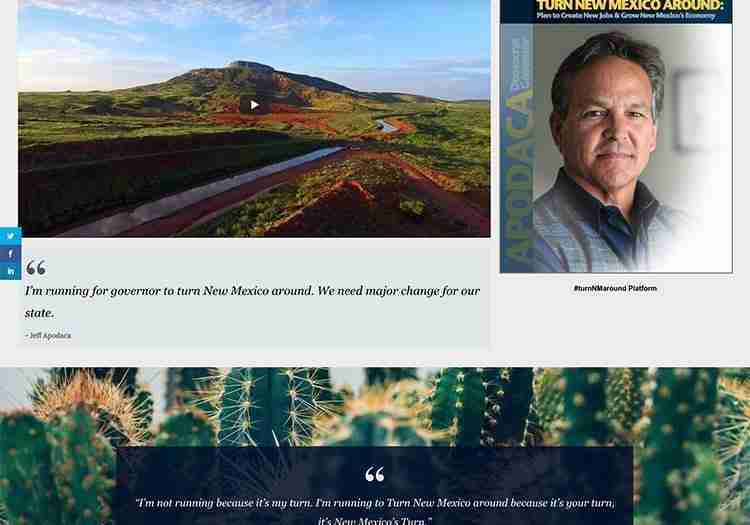 Jeff Apodaca needed a site built for his primary run for governor. 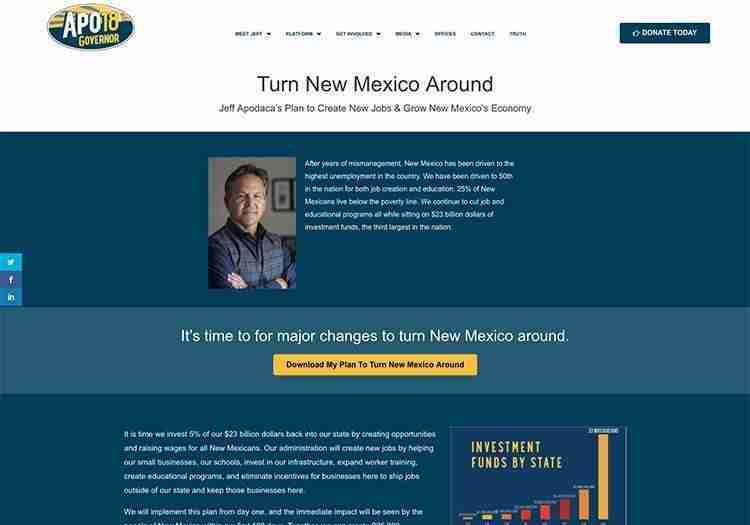 Crazy Good Marketing stepped in and built a beautiful, informative site. 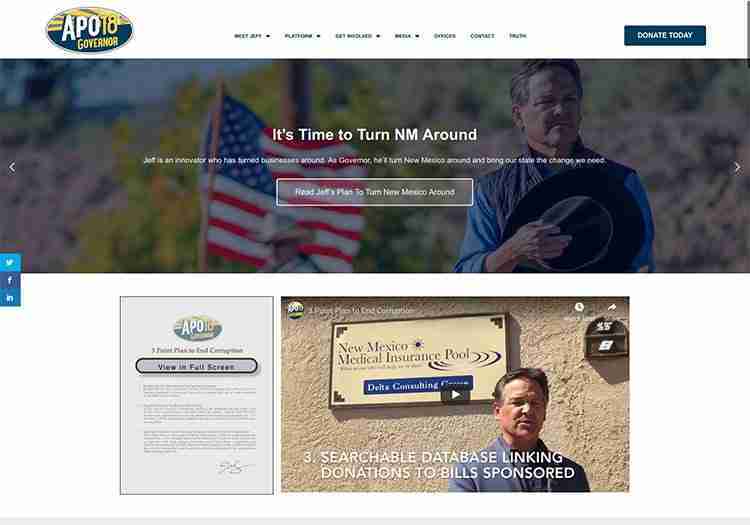 We helped get the word out through a powerful social media campaign.